So at the end of the first week, here are some of my thoughts. These are some of the things I wish I could most go back and tell myself…. Hello Adventurer! How YOU doing? 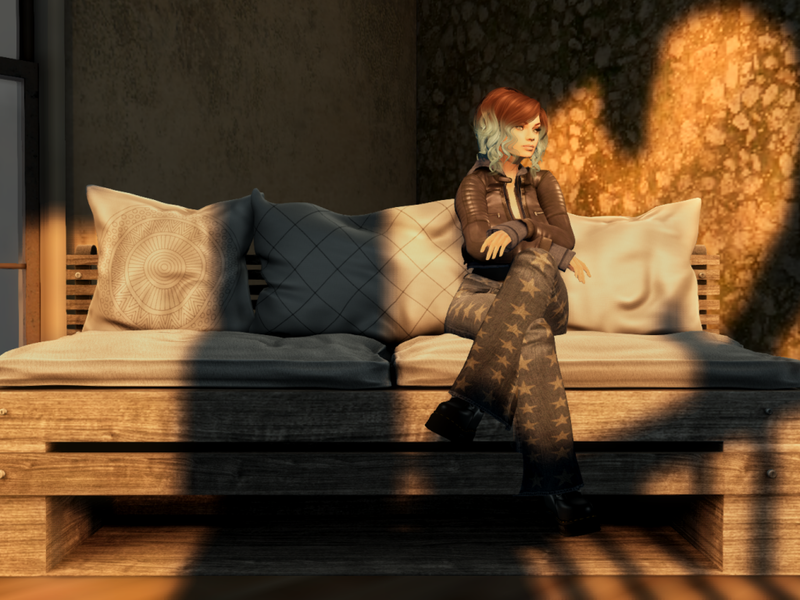 So you want to join Second Life? Well…Sit down and make yourself comfortable in the chair over there by the fire and let me give you a little bit of advice…. This is not a game…it is a simulated world. That will be the first and hardest thing to wrap your head around, coming from a gaming background like you do. There are no goals except the ones you make. There are no achievements or levelling up. There is just you and the choices you make. The interface is really not very intuitive. Once you are thrown off noobie island, that is it. You are on your own buddy. There are some places you can go and if you decide to visit here I would direct you to them quick smart because they are the places where you will actually learn the things you need to know…like how to change your clothes without embarrassing yourself. The best place I visited was New Caledon, the steampunk sim that has Caledon University. The tutorials were really easy to follow and the people there were friendly and welcoming. Without a goal, you will feel lost and will quickly become bored and despondent. Don’t assume everyone in world is creepy and out to get you and grief you. You will not meet one person who treats you badly or even annoys you in this first week. There will be no drama and no griefing. People will be genuinely friendly and are often happy to give you advice, especially if they know you are new. Don’t read the bad press from years ago. Go in and make your experience about what YOU want. Think about what you like to do, what you might want to do, who you want to be and live that life. Stay away from the “adult” areas (unless that is where you actually want to be) and take a class in safety at the Caledon university. Also remember, YOU CAN’T DIE IN WORLD. That was something you will have to wrap your head around because, coming from games like WOW and Subnautica and such, avatar death is something that happens with enough frequency to make you jumpy. So let me repeat it because it took me a little while to fully comprehend it…You CANNOT die in world!!!!!! One more point about safety, if someone is annoying you…just teleport away. Mute them, block them and go somewhere else and do something else…don’t let someone else’s bad attitude ruin YOUR experience. You’re gonna be ok. You are going to get frustrated and the learning curve is going to be steep. You will accidentally get naked in public and not know how to get dressed and be so mortified you mention it over and over again. You are going to run into walls and people while you are learning to move around in the world. You will not know where to go or what to do. You are going to freak out the first time you fall from great heights while flying. You are going to doubt your ability to translate your first life art into second life art and you are going to have a hard time talking to people because that’s just you. When it all gets a bit much, just stand up and walk away from the computer. Go outside. Breathe fresh real air and live your first life. Your second life isn’t going anywhere without you. And lastly, adventurer….Explore, Explore, Explore. Remember that book written by Enid Blyton? The Magic Faraway Tree? The one where different lands would come to the tree and the kids got to visit them and have adventures in incredible, fantastical, WONDROUS places? You always wanted to be one of those kids…and in Second Life, you will feel like you are.